Refill for the exclusive shaving soap with its elegant wooden bowl belongs to the real classics of the English traditional company and makes for a perfect foam. 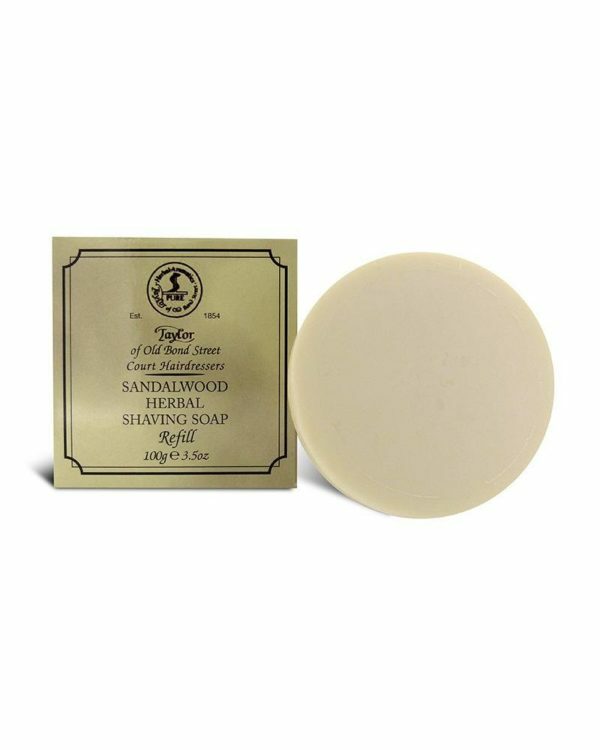 The unique and intense sandalwood scent of Taylor of Old Bond Street is an absolute bestseller and can be counted as a favorite among many customers. Especially suitable for oily skin. 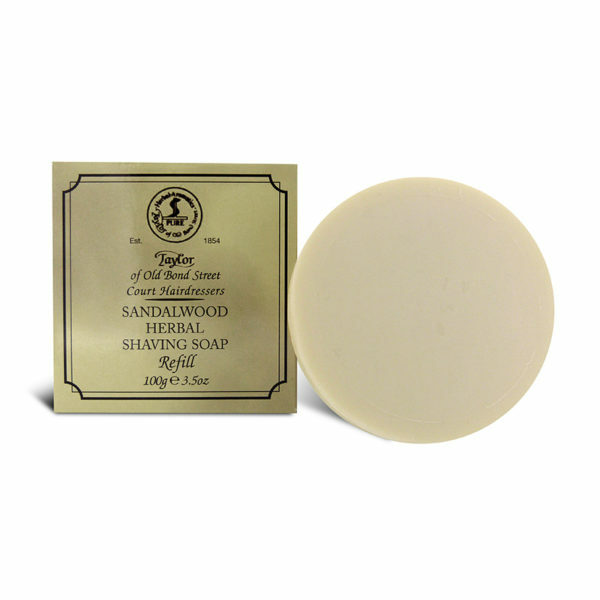 A refill for the sandalwood shaving soap of Taylor of Old Bond Street. The fine shaving soap is the ideal prerequisite for a thorough wet shave. The balanced formula of the glycerin-based shaving soap allows for a voluminous foam, the mixture is gentle to the skin and keeps it hydrated. The blade can thereby glide perfectly, making for a gentle and smooth skin sensation.